David Tubb is proud to release an innovative improvement in firing pin performance; the Chrome Silicon Duo firing pin spring. 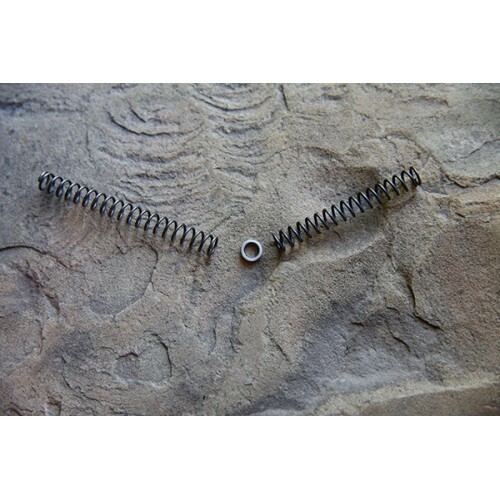 The CS Duo Firing Pin Spring set is composed of two coil springs wound in different directions. One spring is wound clockwise, the other is wound counter-clockwise and when arrayed as a set, these springs coordinate to eliminate the radial biasing imparted by a single spring that is coiled in only one direction, essentially removes the twisting motion associated with the firing pins fall to impact.